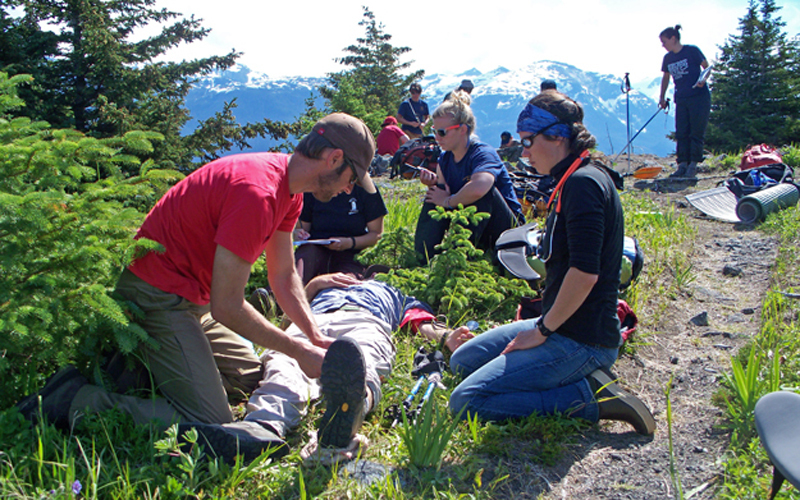 Prepare for the unexpected with this fun, hands-on introduction to wilderness medicine, taught over two or two and a half days. If you like to take short trips relatively close to medical resources, work at wilderness camps, enjoy weekend family outdoor activities, or recreate outdoors, this course is for you. This course is great for people of all experience levels, and is best suited for those who recreate outdoors where EMS response can be expected in a timely manner (fewer than 8 hours). You’ll learn the Patient Assessment System, how to provide effective first aid treatments for injuries and illnesses common in the outdoors, and how to make appropriate evacuation decisions. You’ll learn both in the classroom and in outdoor settings regardless of weather, so come prepared for wet, muddy, cold or hot environments!